A must have for any motorcycle rider is a sense of style. Rev'it has hit the nail on the head with the latest addition to their range. The Stealth jacket offers the appearance and comfort of an everyday hoody, but is packed full of the latest motorcycle technology that ties together safety and style effortlessly. The jacket is primarily constructed of a Polycotton Stretch Denim and is laminated with with Rev'its patented Hrdratex waterproof membrane to create a layer of resistence of the elements. 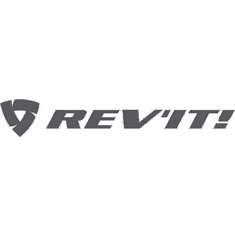 Safety is always a factor in Rev'it's products and the Stealth Hoody is no exception. With a strong PWR Shield layer woven onto the elbows and primary points of impact, this coupled with some of the thinnest CE-Rated SEESMART armour located on the shoulders and elbows really provides a sense of security. There's also room for a SEESOFT CE-Level 2 back protector as well as the standard Zipper connection for any Rev'it trousers or jeans when riding with the Safey belt. To help prevent any unnessescary movement in the jacket from the wind or elements, the hood attaches to the back using a popper. This allows for it to be tucked away safely at any speed.